Although we are currently on an endless road trip around Australia, we still have to prioritize which places to visit. Oz is a big country and it’s just not possible to see and do everything, so we have to think carefully about choosing our destinations. Do you have all your destinations for 2014 planned out, or do you need some suggestions on that? While we can’t decide for you, we can offer you some tips on how to decide and ask you some questions to help you get some clarity. The short answer is there’s no single perfect answer, and it really depends on key factors like personal travel style, length of time you have available, and of course your finances. Get all that figured out, and your options for where you can go on your travels are endless. What kind of trip did you have in mind? Do you want to learn something? What seasons do you like? Can you travel in the off-season? Fly where the deals are! Revisit Old vs. New Destinations? Hate travel planning and moving around? What about a Working Holiday? Which travel destinations are on your list? With so much advertising shoved in our faces these days between print, TV and digital media all vying for our attention, deciding which travel destinations to visit can be overwhelming. When choosing your travel destinations, the following questions will help to narrow down your list and clear the confusion. Seriously. WHY do you want to travel? First knowing why you want to do anything is important. If your WHY is strong enough you’ll commit to it and make it happen. For me, travel is more than checking things off my list. Sure it’s nice to get that photo of yourself in front of the Grand Canyon and post it on Facebook bragging to your friends, but is there something deeper you want to fulfill? I don’t travel for the sake of traveling, especially now with two young kids because it’s certainly not always relaxing, often the complete opposite. But travel has a deeper meaning for me and my WHY is big enough. In fact, the “y” part of yTravel Blog is all about our why for wanting to travel, and mostly that is because we believe in accumulating memories, not just possessions. Value your hard earned dollars, and if you put more meaning to it you have a better chance of it being a memorable and rewarding experience. Your destination choices can be affected dramatically by your traveling companions. Our choices are slightly different now we have children. What about you? Will you be traveling solo, as a couple, or as a family? If you travel as a family, sit down with your whole family and discuss your ideas and interests. Memorable trips are those where each member of the family gets to experience something they love. Finding the balance between adult and kid stuff is important. If you travel as a couple, talk about your individual desires and expectations. Be clear on what you both want and make the decision that will suit both of you. But don’t leave it to one half of the relationship to always make the decision. 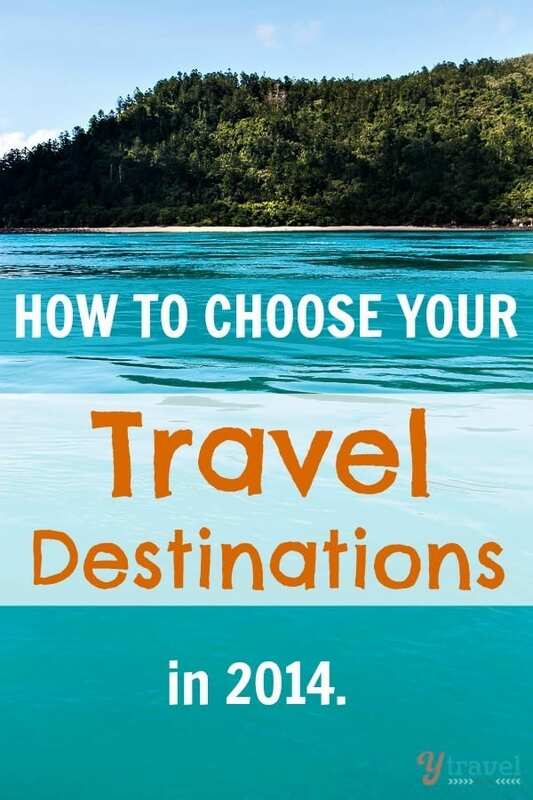 Maybe you could simply take turns in choosing a destination each year? A big part of your decision will come down to personal travel style, what do you like to experience, and what is your everyday life like? Is your working and family life so hectic that you need a trip to relax, recharge and spend quality time with your family? Or, are you the type who can’t sit still for long, are wired for action and want to see and do as much as possible? Personally, I like a balance between having some down time and exploring new things. Are you the person who likes to sit by the pool or at the beach all day with a book? Or would this bore you to death? By answering these questions you can narrow down your list. 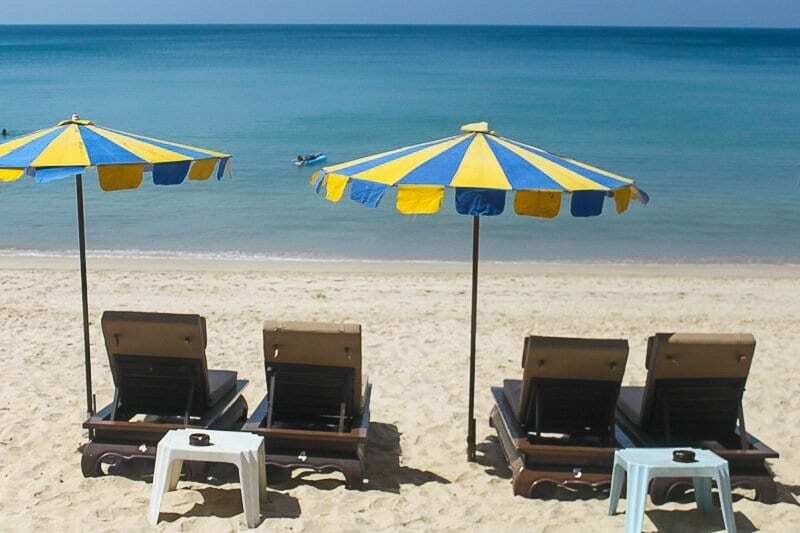 Could you sit on a Thai beach all day? If you only have 1-2 weeks of vacation time per year, you probably don’t want to waste too much of that time traveling to your destination. But if you have 2-4 weeks you can look at traveling a little further. Have less time moving from A to B. Choose only 1 country or region. You’re more likely to spend more in order to save time. Tendency to stuff a lot of activities in, but be warned this can exhaust you. Know your purpose so you can choose activities to cater to this. May pack more and shopping could be more of a focus. More likely to visit those countries that are more expensive. More likely to have a rigid schedule with things booked in advance. Can allow more time for travel between destinations. Depending on length, can visit multiple regions/countries. Will sacrifice time in order to save money. Will need to be extra vigilant with budget and finding deals. Focus on packing light and embracing minimalism. More room for flexibility in your schedule. Volunteering work may be an option. You can pretty much find a match for your budget choices whatever travel destinations you choose. 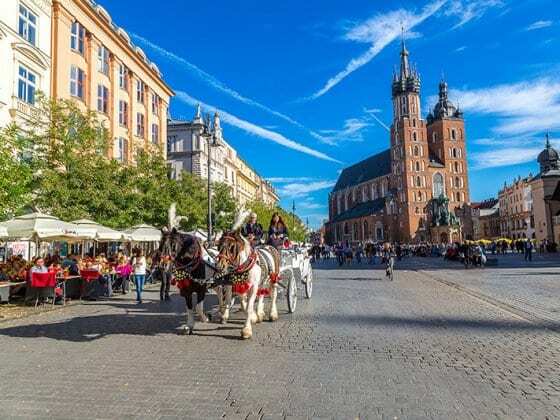 However, it could change your ultimate decision as it might not be budget enough, particularly if you are traveling long-term when it’s best to stick to the cheaper regions! Carefully consider the strength of the currency you are traveling on and what areas you can make your dollar travel further? What other currencies is it stronger against? For Australians, it might be considering a trip to South East Asia, the Pacific Islands or Africa. Or, if you love road trips and camping, it could mean staying in Australia instead of going abroad. Think strategically about your options. Is 2014 the year you finally learn to speak Spanish? Why not base yourself in Central or South America and force yourself to speak Spanish. Maybe you could live with a family for 6 weeks, or enroll at a school. 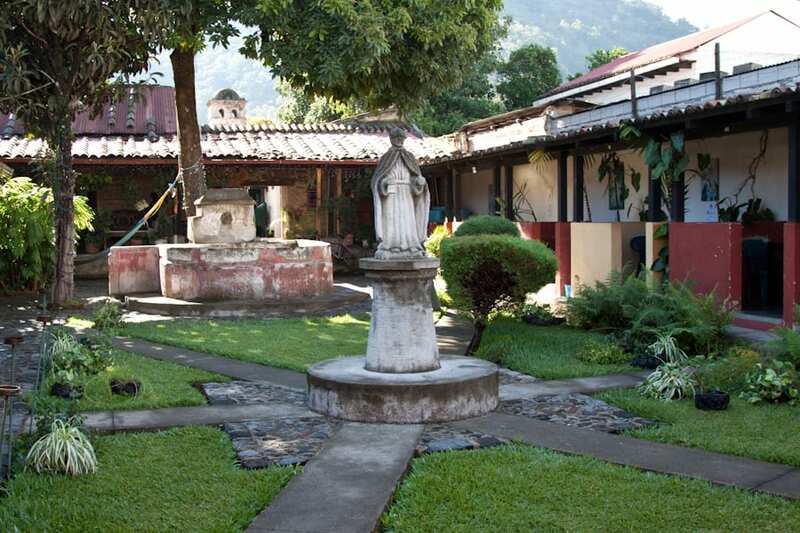 This post on how to choose a Spanish school in Guatemala has great tips on the subject. Do you love Thai food? Do you want to learn how to cook authentic Thai? We loved our Thai cooking class with Pat in Phuket and it was a great family activity that we could include Kalyra in. If you’re the foodie type, maybe destinations like Italy, France, Japan and India are an option? What else could you learn or experience? What are you passionate about? There are experiences and courses that can sometimes be best undertaken in a particular country. What do you want to learn and which country specializes in that? Many people travel for the seasons. Are you a summer or winter person? For us, it’s usually summer destinations. It just appeals to us as there is more you can do outdoors, most people appear happier when embraced by the sun, and you can travel lighter – trust me, when you have kids you will appreciate this. So unless you are looking for winter activities, you are more likely following the sun too. This will often mean prices can be higher, except for those regions where it is always hot. Consider the impact seasons have on what you do. You can waste a lot of money if you don’t get the timing right. If you are fortunate enough to be flexible in when you can take your vacation time, good for you! Avoiding peak periods and traveling off-season is one of our best travel tips and you can save big bucks on flights, accommodation and activities. Even if you have kids in school, consider traveling just outside of major school holiday periods to take advantage of the savings. Instead of thinking too much about the location of your next travel destination, let the cheap flights make up your mind for you! Think about using airfare sales to help determine the location of your family’s next vacation and month of departure, rather than the other way around. Sites like Kayak Explore and Airfarewatchdog can help. For Kayak Explore simply plug in your departure city and choose the season or month and a list of available deals will appear. I got asked this question the other day. Do we normally revisit the same destinations or try someplace new? If yes, why? Well, if there is a particular experience or feeling we want to have, and we know where we can get that, we are more than happy to revisit places. There’s absolutely nothing wrong with revisiting places. The main thing is that you’re traveling and being true to yourself. We often revisit the same destinations in South East Asia because that region ticks a lot of boxes for us: food, weather, beaches, culture, friendly people, distance from Australia, the price! If you do revisit the same destinations, maybe consider doing it with a twist. Stay in a different neighborhood, eat at different restaurants, swim at a different beach, climb a different mountain, seek out new experiences. Are you returning to the Grand Canyon? Try the north rim instead of the south. Go to Melbourne instead of Sydney, Chiang Mai instead of Bangkok. Why not consider a cruise or all-inclusive resort? With activities to appeal to every generation, food choices to suit all ages, and itineraries that can be action packed or you just sit around on your backside all day, cruises and all-inclusive resort stays can eliminate decision headaches. You check in, drop your bags in your room, and then your biggest decision for the next week is what are you going to eat? Who couldn’t use a trip like that every once in a while? As a busy family who usually moves around a lot and plans it all ourselves, we sure appreciate some trips where we do nothing but eat, drink and swim. If you’re considering longer-term travel, maybe a working holiday is what you’re looking for? It can give you the opportunity to experience a new culture, gain new skills, and it’s a great way to fund your travels for an extended stay. By participating in a working holiday, you’ll develop a deeper understanding of the people and their day to day lives, you’ll get a real feel for the heartbeat of the country, and you’ll get out of your comfort zone by trying different and unusual jobs. Is money and time an issue for you? Don’t underestimate the benefits of staying local and exploring your own backyard. I recently published a post on how to travel in your own backyard which has suggestions and tips on how to make the most of this strategy. It’s an easy strategy to implement. Start by taking day trips, then short breaks. After a while, you’ll be looking for bigger and longer adventures. I am on my dream trip around the world. Saved mileage points to get a RTW ticket. I am in Chile now and will be in Argentina next month. Then 2 months in Europe, 2 months in SEA, another month in Manila, Seoul and Hawaii. Then six weeks rest/visit home and off to Australia for a couple months. Love to travel. Looking forward to doing some camping in Australia. Would love to find a place to hug a koala. Awesome trip Starr. And great strategy by saving your mileage points, well done! You can have a koala experience at several places e.g. Currumbin Wildlife Sanctuary on the Gold Coast in Queensland, Australia Zoo in Queensland, Taronga Zoo in Sydney. Great post! I am in the process of planning a trip for May. Originally, I had my heart set on Paris, but my other half was really craving something more laid back and tropical. We will be going to Puerto Vallarta & staying at a beautiful hotel. Lots of downtime, but I will satisfy my sense of adventure with ziplining, rapelling, surfing and snorkeling! I love your blog, it is so inspiring! What a comprehensive guide! Great idea about taking a course on vacation, too. I’ve only been working casual hours for the past few years and can’t afford a huge far-away holiday, but I did approach a holiday last year to the Whitsundays in a similar way to what you suggested. For me, the big thing was respecting the travelling styles of my companions – luckily we were all similar in that we valued having adventures over poolside lounging, but we agreed it was ok to break away for an hour or two occasionally and do our own thing. I also love the idea of local travel. After living overseas in London and spending years exploring every nook and cranny of that city (and still probably missing out on most of it!) I returned to Brisbane trying to do the same. Every summer month I swim at a beach I’ve never been to before (this month, Amity Point on Stradbroke Island) and make a point of visiting suburbs and locations unknown to me. 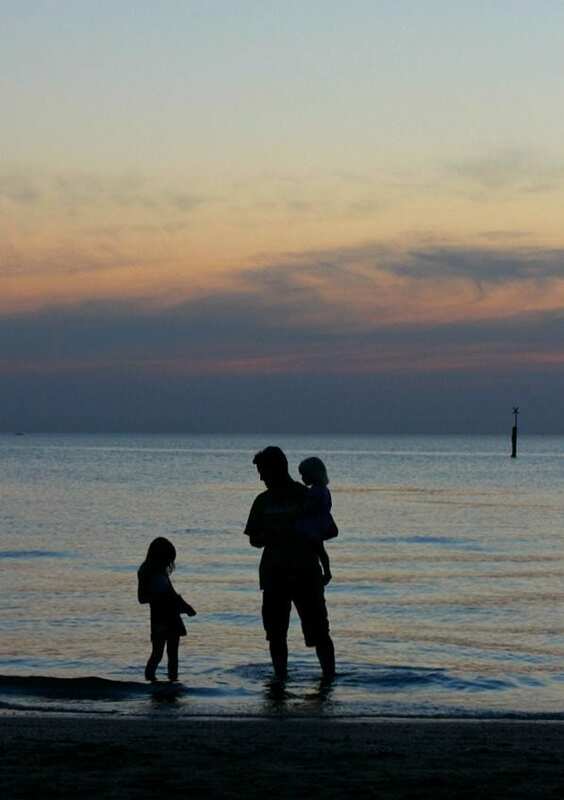 Some great tips…we did the Around Australia with the 2 young kids also 10 years ago and are very much in need of an overseas destination. Our options/considerations for the past few years have been – skiing and driving NZ (I have been), Vietnam, Malaysia, Bali, Thailand, Hawaii and (wait another year) Canada or South America. My adventurous, exotic destinations are Macchu Piccu, Himalayas, Mt Bromo Indonesia, Angkor What, Kilimanjaro, PNG. It’s so hard to make a “group” decision, considering all. Great to hear that Melbourne is hot at the moment, I’ll be there towards the back of next month. Always enjoy my trips to Australia. I travel every month with work so make the most of any free time I have in any places I visit. It is also good for air miles so when I do take a holiday I can use these to extend my reach. My work travel plans remain global for this year. On a personal level my wife loves Greece so I think we’ll be heading there this year. We (myself, the husband, and kids aged 2 and 6) are off to the UK and France for 3.5 weeks in September/October. This trip is mainly to see my Dad and Grandma but we have some nice little side trips with a child focus mixed in – Peppa Pig World, Legoland and Disneyland Paris. What I call a very commercialised trip this one but I wanted the kids to have these amazing adventures with their favourite characters in amongst visiting family. One thing I like to focus on with our 2-4 week vacations is “finishing on a high” in this case Disneyland – I think it makes the trip more memorable and gets you through those last few days when fatigue can set in. We are also having a Perth “stay cation” this summer/autumn visiting some of Perth’s top attractions that locals often forget about. Oh wow, that’s so cool! Even I want to revisit a couple of old destinations as well as some new ones. This year I am even more focused about travel – more particular about where I want to go – saving funds, planning and making it happen. You guys are so great at these inclusive, comprehensive guides. We need more of this kind of writing in the travel blogging world! Oh we would LOVE to go to Australia!!! I was just watching a video on Melbourne and it looked amazing. We happen to love coffee and the video was on the coffee culture there and followed a walking tour. My wife and I are looking to travel slow this year. We will have off October through December to travel and we are planning to pick one place, get an apartment and live there. We’ve done this before in Antigua, Guatemala, so that is an option. We might also go to Indonesia, India or the Philippines. The fun part is we don’t know. We have six months to plan! Good advice! I’m actually in Spain and I’m thinking Morroco, Mexico and France this year. I don’t know. I love to decide last minute! Great article. For us, we never have difficulty picking our destinations. We usually have too many! 🙂 Can’t wait to read about your travels in 2014. 2013 was the dream RTW trip. 2014 will be close to home – NZ, maybe Australia or the Pacific Islands. Still hanging out for deals to Hong Kong, Spain, Japan! It’s a great photo spot Marc. Hope it comes true for you! Hello there, well 2014 has started so well for me with three trips back to back… and am not feeling that keen on school term re-starting… I’m aiming for a big mixture of trips this year… I have one dream destination, hope to get there with my older teens, it’s a real heart one, an explore. Always keen on some luxurious lazing… and good fun active trips with the wee kids. I’m a firm believer in travelling around my own city, so have a wee Sydney list going on too. Your post here would get anyone thinking and is full of practical tips, plus some sheer inspiration. Thanks for the trip ideas proposed in your article. I guess it is very helpful to the readers who are planning a trip in 2014! I am quite interested in the Thai cooking class in Phuket. Hi Guilin, Pat’s Thai cooking class was great. Check it out if you go to Phuket! I recently went on a weekend away to Knysna, South Africa with some friends. We had best time of all and I’m thinking about revisiting Knysna sometime later this year and try different activities that we did not have time for the last time. This May we’re again planning to go on a week long trip to Durban, South Africa. I know what I want to do in Durban and we’re still trying to put our ideas together and come up with a best plan that will satisfy all of us in this trip and that’s a difficult task yet, especially if you have to watch your budget. Thanks to your blog guys, your travel advice is priceless! Well I’m sticking to a European trip this year. Why not you come nepal. It will be more than pleasure to see you and arrange something for you here. Make sure you contact us Global Holidays Adventure. Amazing post! 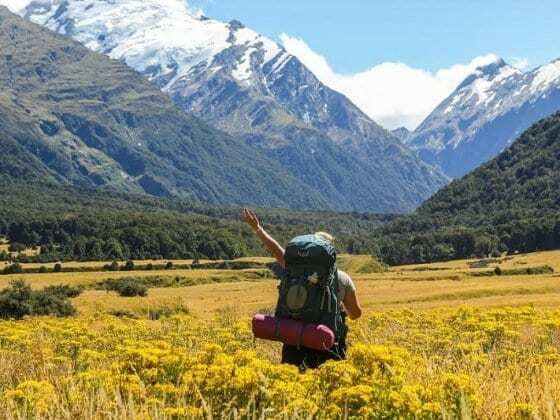 I am planning to travel on December this year some adventure trip so this article is very helpful for me thanks. Great post, thanks for sharing! I always think that planning you holiday or travels are part of the fun, especially if you’re going with someone else. The excitement and build up to the departure date is all part of the experience! Agreed. The build up is very exciting and definitely part of the fun!